Rugged Men Style – What defines a rugged man? Its his attitude, the fearless and responsible nature and the strong masculinity but most importantly, it is the outfit which has the strongest impact. You get to see the rugged man’s attitude or persona later but the first thing you observe is the outfit. It’s the outfit which attracts and leaves the long lasting impression. So in this post we will be sharing with you some of our most favourite rugged outfits for men and tips how to dress for a rugged man look that all women are surely to fall for.Also see 15 latest beard styling ideas for sharp look. So what are the rugged man’s outfits supposed to be like? First of all, they are comfortable, they allow complete freedom of movement and do not restrict him in any way. Secondly, the highlight his best and masculine features, but at the same time they are also not too revealing. If you ask about the key to being rugged in one word then its definitely the simplicity. There is never a need for perfection for the rugged man. Just stay natural and simple and remember to feel good. While there may be some limited use of accessories, they never go over the top. 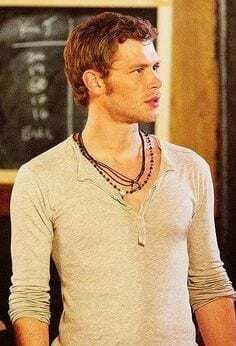 Joseph Morgan is an ideal rugged man for many men and women around the world these days. He is definitely one of the most handsome men no matter what he’s wearing. Be it a suit, a vest, or a simple t-shirt as shown below, he carries it in a great and natural or effortless way. For a rugged male, the fitting of his clothes should never be too tight. Check the image below, while he outfit is clearly highlighting the masculine physique of this guy, it is at the same time quite baggy. But of course it doesn’t have to be too baggy as well. You need to find the right fit for yourself. An all time favourite shoes for the rugged man are the heavy duty boots which are easily available in a range of designs and colours at various stores. If you feel like shopping on-line even then they can be found at affordable prices on various stores including amazon. the coats and jackets of the rugged man are always in a neutral shade and have some sort of roughness in them. While the rugged man is usually expected to stick with natural and earth like colours, he can also conveniently slip into patterns especially checks and plaids. Another key characteristic of the rugged man is that when it comes to clothes, he has absolutely no worries. The outfit easily blends in with their daily tasks or jobs and he does not need to think about the wrinkles on his shirt or the dirt on his jeans. Check out the amazing naturally rugged look of Gerard Butler below. Suspenders are one of the manliest outfit items that can be owned by the rugged man and they truly never go out of style.